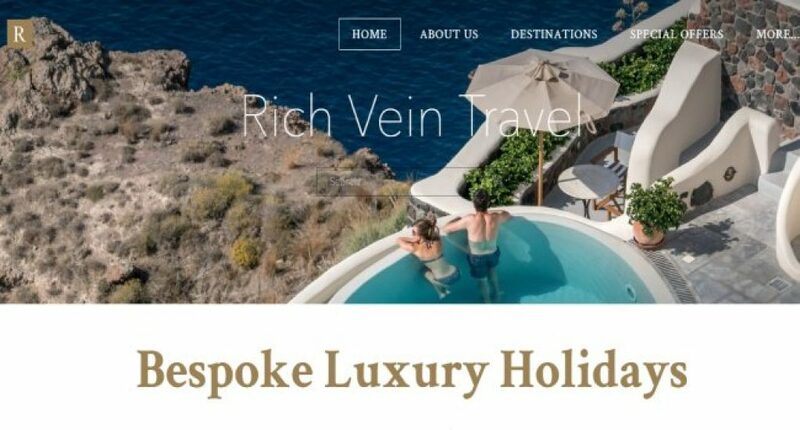 We are a British travel company specializing in bespoke luxury holidays. With dream vacations in the best holiday destinations, and with a handpicked selection of luxury hotels, our attention to detail is undoubtedly what sets us apart. By ensuring that we spend time understanding each individual traveler we are able to create their perfect holiday above and beyond all expectations. We listen to the wants and needs of each client to carefully design the luxury holiday of their dreams with an absolute commitment to delivering quality and excellence. What problems does Rich Vein Travel solve? Our startup bridges the gap between the desire to have luxury travel experiences, and the ability to do so. Often price, a lack of knowledge, and a lack of time to research a destination can mean that travelers stick with the status quo by opting for a generic holiday. A generic package holiday may seem like a safe option, but in reality, it can be limiting as you are constrained by a ‘one size fits all’ approach to traveling. As specialists in the bespoke, we do the opposite. We get to know you as an individual and use our expertise of each destination to match your interests, desires, and budgets, with the best holiday destinations around the world. Our attention to detail, our expertise, and our friendly approach. Our founders have extensive experience in the travel industry with decades of experience traveling the world and working in the industry in a professional capacity. As a result, they have a clear understanding of what makes the perfect luxury holiday from the standard of the hotel, to the service, to the airline and beyond. Having this understanding, and by truly caring about the needs of each client ensures that the whole company can commit to delivering quality and excellence. This ethos of delivering quality and excellence flows through the entire company and is illustrated in our positive reviews from happy clients.